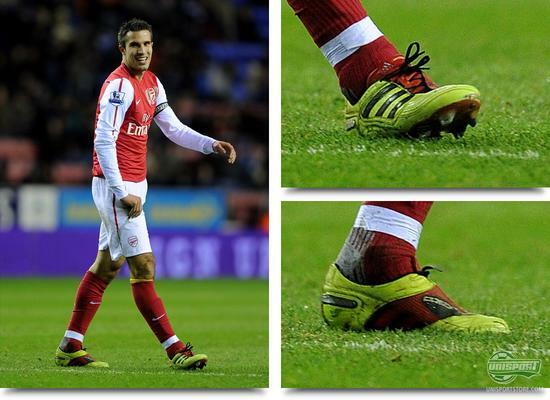 Robin van Persie: the superstitious flying Dutchman! Robin Van Persie has since this summers transfer window, been among the most discussed footballers in the world. That has first and foremost, been because of his big move from Arsenal to Premier League rivals Manchester United and now he has given us something new to talk about. That is because he is still to completely replace, his old Adidas Adipower Predator with the newer Adidas Predator LZ  But what's behind this seemingly strange decision? It turns out it's not the first time, the Dutch danger-man, is responsible for an unusual boot choice. We have started to notice, that Robin Van Persie is a slightly superstitious gentlemen. He has great faith, in the fact, that if a boot delivers once, then they will do it again. We will be taking a look at his theory here, so keep reading and finish of by telling us if you have heard of other players, with the same tendencies as RVP. In the time leading up to this summers European championships, in Poland and Ukraine, Adidas launched a new generation of the legendary Predator-collection. It was given the name Adidas Predator LZ (Lethal Zones, red.) and massive players like Xavi, Nani, Kaka and of course the man in question, RVP, were quick to switch to the new model. 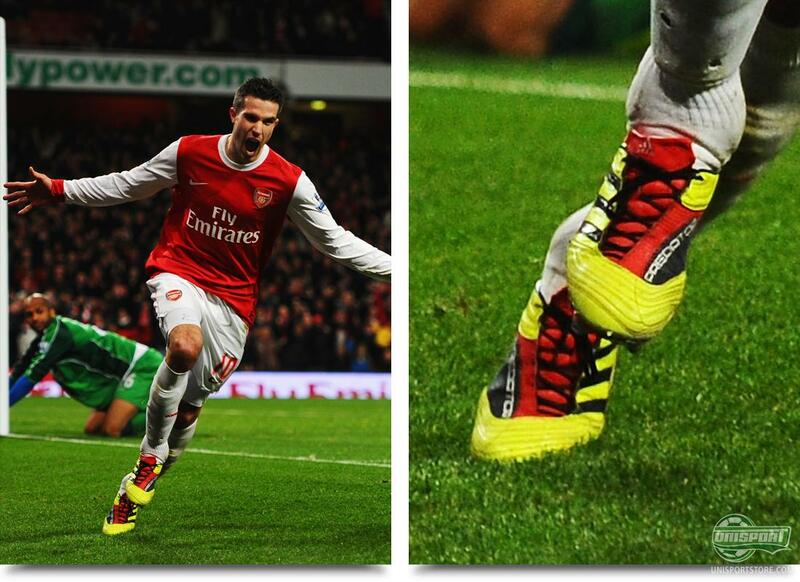 Robin Van Persie had, like he always does, a special version made. It had, like the picture illustrates, the X-stud system, rather than the Traxion 2.0-system, the one you can find on a pair of F50 Adizero and Adipure 11Pro. As most of you might remember Van Persie never really got going at the Euros and had like all of his Dutch team-mates a positively rubbish championship. The striker could far from reproduce the form, that gave him the reputation as one of the most feared attackers in the world. Maybe it was the boots, that were holding him back, regardless of being tailored to his own specifications. Either way, one thing was clear for all to see, last years Premier League top scorer missed his Adidas Predator Adipower, which he used to WACK in goal after goal. On the 17th of august 2012, Robin Van Persie signed for Manchester United, in a surprising move away from the Premier League rivals, Arsenal. 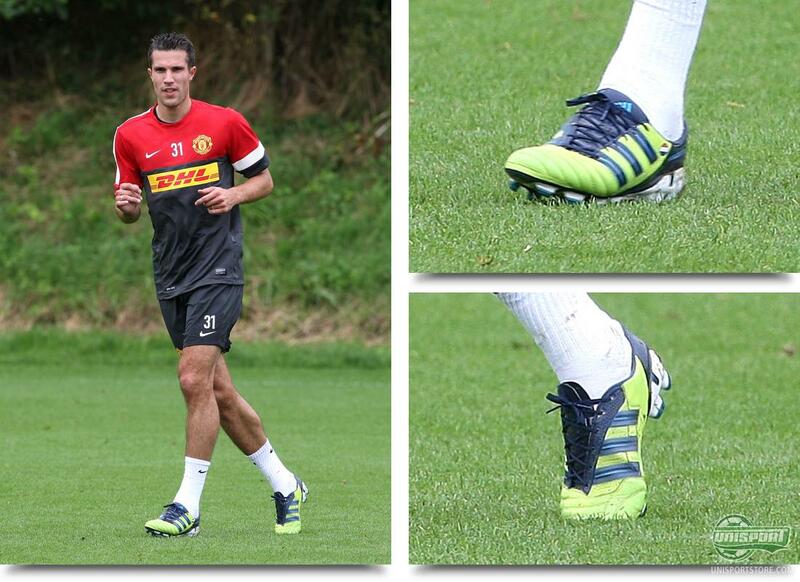 On the same day he took part in training and to our great surprise, he did it wearing a pair of Adidas Adipower Predator Neon/Blue. 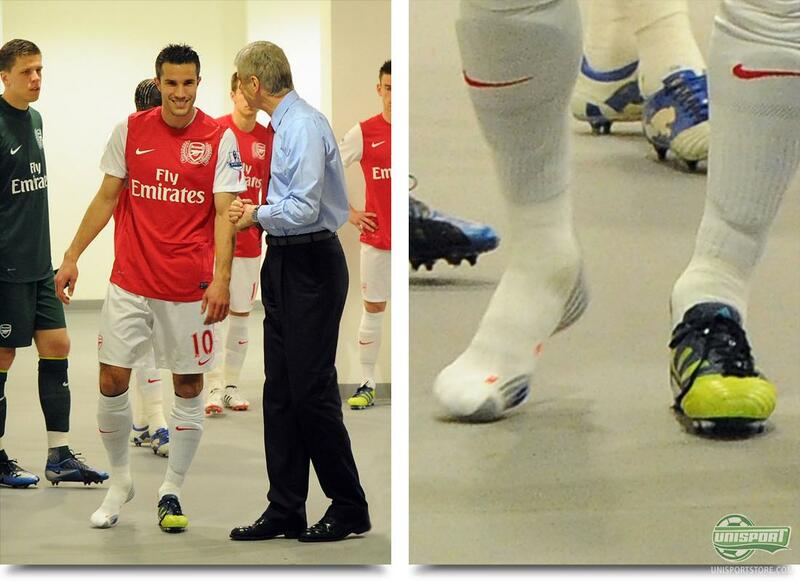 At first we thought it was just a pair, he was going to use for training, but RVP quickly proved he had every intention of playing competitively with them. As the weeks went by, Robin Van Persie continued championing his faithful Adipower Predators and the goals followed as a result. It so far been an impressive 8 goals in 7 for the sharpshooter, with the latest coming in Monday nights win over Romania. It is therefore understandable, that the Dutchman doesn't want to swap out the boots, but one could imagine that Adidas aren't all together pleased, that one of the leading ambassadors for their new boot, Predator LZ, doesn't even use it. We think it will be quite some time before RVP tries to replace his boots again, because his latest goal flurry, has probably only fuelled his superstition. Now, if you thought that was his only quirky ritual, you would be very wrong. He for example only gets dressed from left side to right, but at the same time always waits with putting on his right boot, until he's in the tunnel, like you can see on the picture above. A very strange habit, but you have to admit it has been doing the job so far, as the Dutchman continues his flying form. As a result of the irregularities in the strikers current boot situation, we decided to start digging in his boot-history. We discovered this isn't the first time, Van Persie is responsible for some surprising choices. If we wind the clock back to January 2011, Arsenal were playing Wigan at the Emirates Stadium and here RVP clocked in a good shift, with a hat-trick, worthy of many superlatives. He did this wearing his Adidas Predator X Electricity, the Adipower's predecessor, and that definitely wouldn't be the last time we saw him wearing them. New season, but a new boot? Nope. A good 11 months later and a new model has arrived and several new colourways too, but Robin Van Persie still pulled on his trusted Adidas Predator X Electricity/Red. He did this because he was playing Wigan again and hoped he could replicate his previous performance and get himself a new hat-trick. Although this didn't happen, this just proved his trust in his old boots, that stood the test of time. 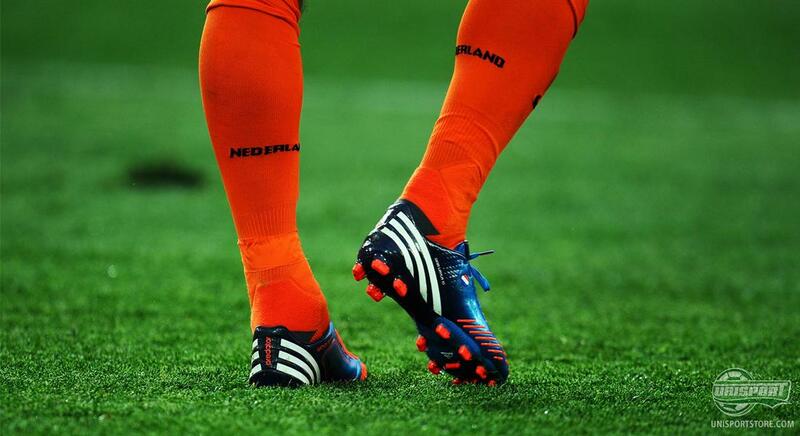 We know Torres only plays in white boots and that Drogba doesn't switch boots while on a hot-streak. 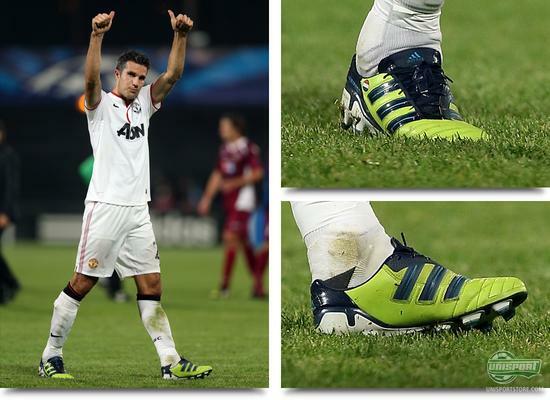 We learnt that Van Persie trusts, that old boots will reawaken old goal scoring form. What are your thoughts on the strange boot rituals? Do you know any other players with funny rituals and traditions? Let us know in the comments section bellow.